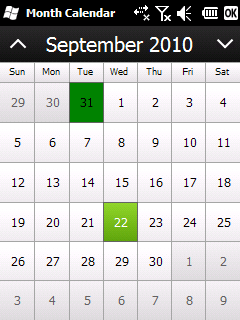 MonthCalendar is a .NET Compact Framework GUI component useful for prompting users to choose a date – particularly a day within month. 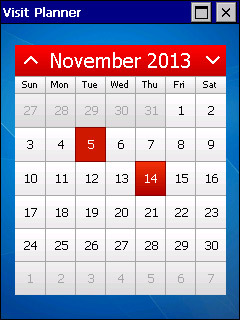 You can choose from two color themes (black and blue) or you can create your own. 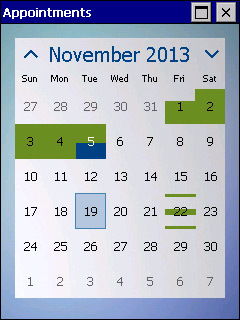 You can also highlight specific days and assign appointments to the calendar, such as holidays or special events. 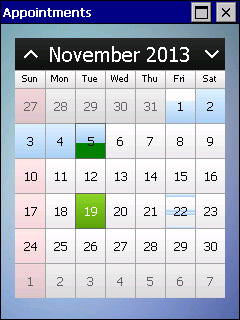 MonthCalendar displays the start and end dates of appointments.